Happy Sunday, knitters! 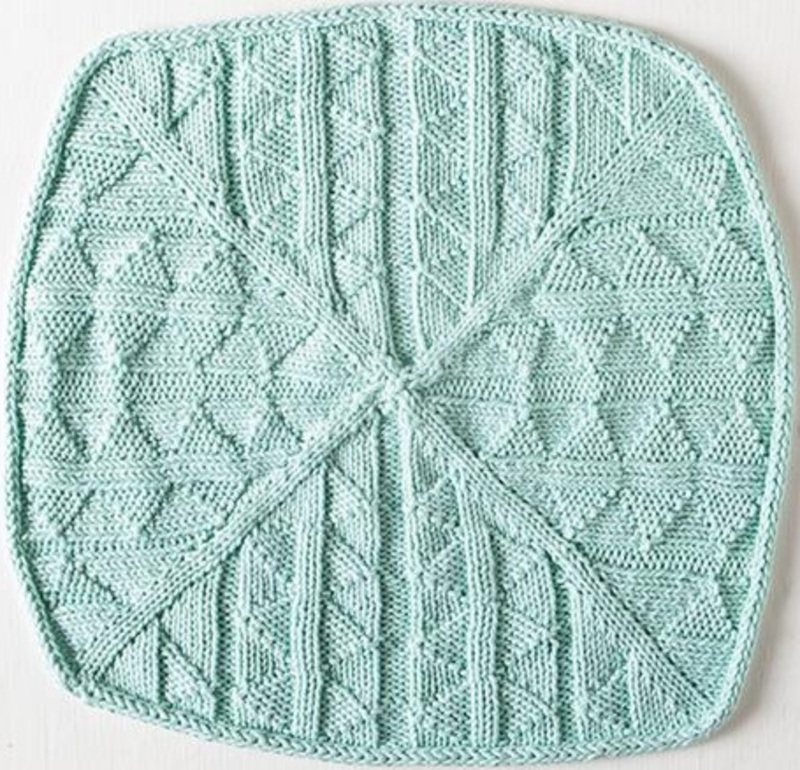 The latest free pattern in the Clean & Crafty series is from Erica Jackofsky and is the Triangle Squared dishcloth pattern. This particular pattern’s triangles give it just enough texture to help get the grunge off of your pots, pans, and cutlery. It also has an icord border as an appliqué – I find icord-making rythmically soothing and a stress-reliever for some reason, it kind of has the same effects as the korean ginseng. Go forth and scrub!